When Professional Practice Network (PPN) members were asked about the greatest challenges landscape architects face, the most frequent response was described by one member as “the same challenge we have always faced”—defining and communicating what landscape architecture is, both to the public and to other design professionals, to ensure that the value of landscape architects’ work is understood and recognized. Other recurring topics included the economy, finding work, dealing with limited project budgets, competition, climate change, and water scarcity. 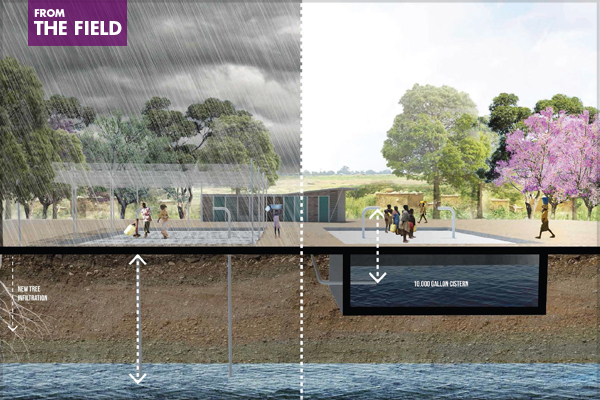 Outlined below are the major themes that appeared among the challenges landscape architects face—food for thought as 2016 comes to a close and we look ahead to what may unfold in the new year. In response to the question What one characteristic or skill is most essential for success in landscape architecture? 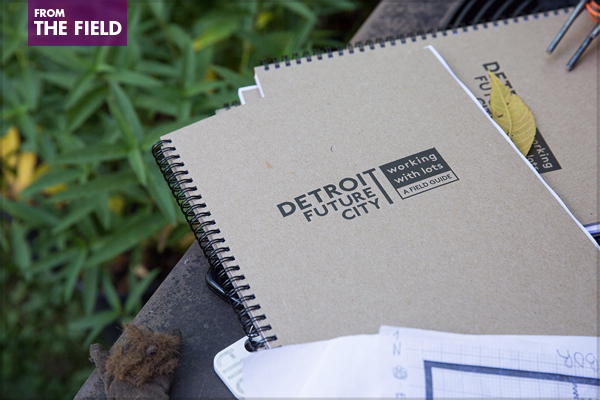 many of ASLA’s Professional Practice Network (PPN) members said that staying up to date, being a life-long learner, and keeping an open mind to new design ideas and technologies are critically important. So, how do our members keep up with current design trends and ideas? When asked what websites, publications, and other sources were the most important, the top answer was Landscape Architecture Magazine, followed by the ASLA website and other ASLA resources, including The Dirt, LAND, and local ASLA chapters. Listed below are a few other sources of design news that appeared among the responses. With the holidays and end-of-year break nearly upon us, you may be looking for a few new books, whether to give as gifts or to read yourself. In addition to the Best Books of 2016 highlighted on The Dirt, we also asked ASLA’s Professional Practice Networks (PPNs) for books that should be required reading for all landscape architects. Though many of these are classics you may have already read, we hope you find a few titles to add to your must-read (or must re-read) list. As a corollary to the previous question covered from a 2014 survey of ASLA’s Professional Practice Networks (PPNs)—What’s one thing you wish you knew when you started your career?—PPN members were also asked: If you could change one thing about your job or career path, what would it be? Almost anyone can relate to many of the other answers given, including requests to “add more time” and “I wish I didn’t have to worry about making money.” However, many responses were specific to landscape architecture, and a few recurring ideas are highlighted below. Roeding Park (HALS CA-59). Grove of fan palms on east side of park. The Historic American Landscapes Survey (HALS) was created in 2000 to promote documentation of our country’s dynamic historic landscapes. Much progress has been made in identifying cultural landscapes, but more is needed to document these designed and vernacular places. 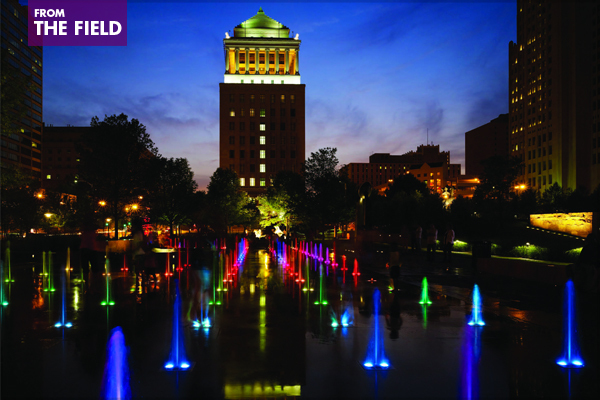 For the 8th annual HALS Challenge, we invite you to document a historic city or town park. In 2016, the National Park Service celebrated its centennial with the Find Your Park movement to spread the word about the amazing national parks and the inspirational stories they tell about our diverse cultural heritage. Find Your Park is about more than just national parks! It’s also about local parks and the many ways that the American public can connect with history and culture and make new discoveries. 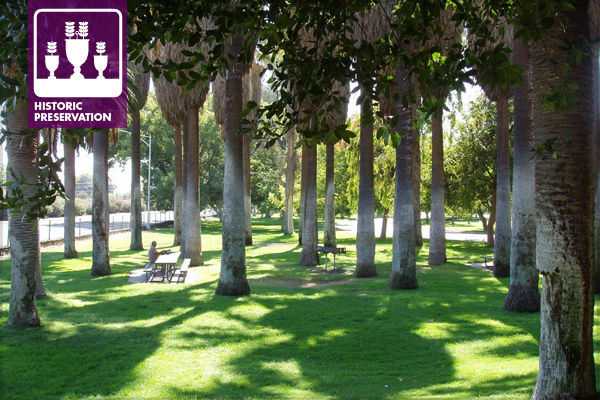 With more than 80% of Americans living in urban areas, urban parks are becoming more important than ever. be documented to encourage its preservation. 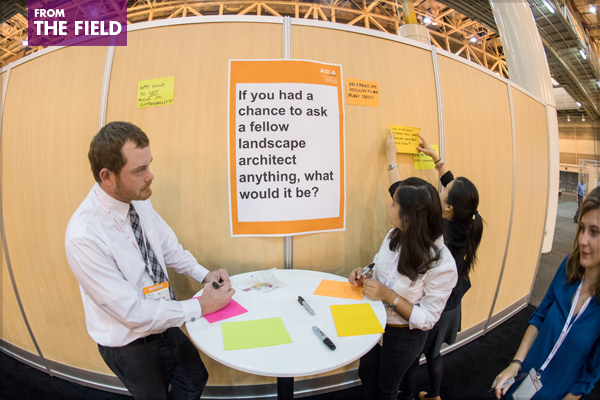 At the ASLA Annual Meeting’s EXPO in New Orleans this October, attendees had a chance to sound off on what they’d like to find out from their PPN peers. 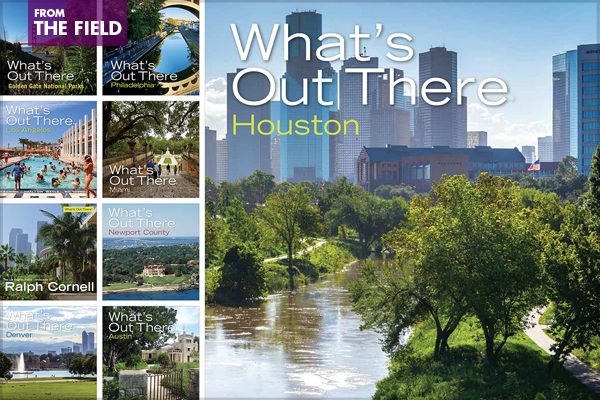 Each year, a survey is sent out to members of ASLA’s Professional Practice Networks (PPNs), asking them to sound off on a variety of topics. Past survey themes have included favorite spaces, career paths and work issues, creativity and inspired design, and more. For 2017, we’re asking our members what questions they’d like PPN members to answer. So, if you had a chance to ask a fellow landscape architect anything, what would it be? 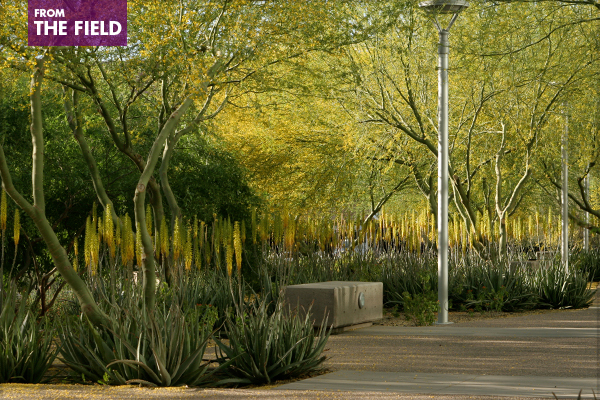 Responses are welcome in the comments section below, or by email to propractice@asla.org. We look forward to hearing from you! Shaped by your responses, the survey will be sent to all PPN members in early 2017, and summaries of the survey results will be shared in LAND’s PPN News section and here on The Field.